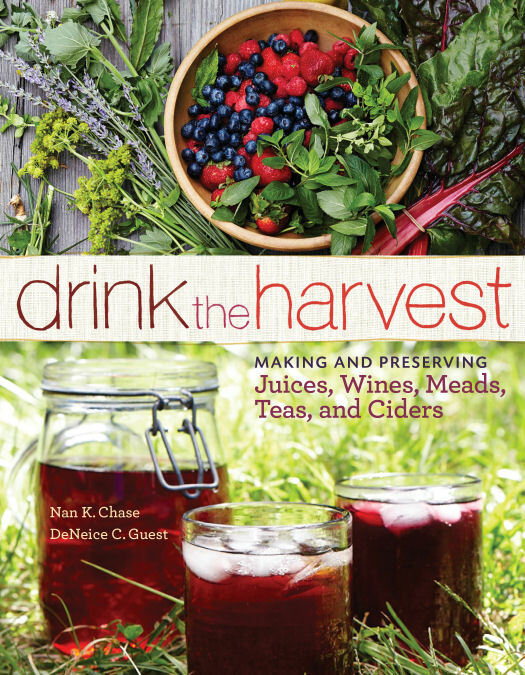 Drink the Harvest by Nan K. Chase and DeNeice C. Guest is a great primer for people who want to start making drinkables from their own garden produce, and things they can find seasonally in farmer's markets. This photo-rich book is thoughtfully laid out in a way that makes it easy to follow, even for absolute beginners. It starts with giving the reasons you should be making your own drinks, and offers suggestions for what to grow in your garden for making great juices. Not just fruit juices, it talks about berries, rhubarb, things that can be grown for tea, and vegetables. The next section discusses equipment, sterilization methods, and how to pick and wash your harvest. This is an essential chapter for beginners because have an overview of the equipment that's going to be necessary, as well as tips for optional equipment that will make it easier. It starts with the basics, the juice recipes Berry juice, pear juice, non-alcoholic ciders, some vegetable juices and a great spicy bloody mary mix as well as other recipes. These can be modified to fit what you have available and processing times are included if you decide you want to can your juices instead of freezing or refrigerating them. The next chapter is the one for adults, the ever classic dandelion wine as well as a few mead recipes, hard cider recipes and herbed, fruit and other types of wine. This is the chapter for the patient, and explains how fermentation works, how to ferment, how to rack for flavor and clarity and everything else you need to know about making your own wines, meads and ciders. After that, the chapter for people who love to make their own sodas, or want specialty syrups for other things, it's the syrups! For this, knowing how to make juice is important, because you'll be using the juices as the base for syrups. Watermelon, herbed fruits and berries, and single flavored syrups are included as well as instructions for bottling. The last chapter covers teas, tisanes and decoctions. This chapter has less recipes, and is more about techniques and a suggestion list for various types of flowers and herbs that can be dried to use as teas. It includes how to dry using the paper bag method, or using a dehydrator, and storage instructions. Then there are instructions for drying citrus peels which are popular in teas, how to make a rose hip decoction which can be kept in the freezer to add for a vit. C boost to other drinks and full, photo instructions for making kombucha, how to troubleshoot a SCOBY and how to bottle for carbonation. 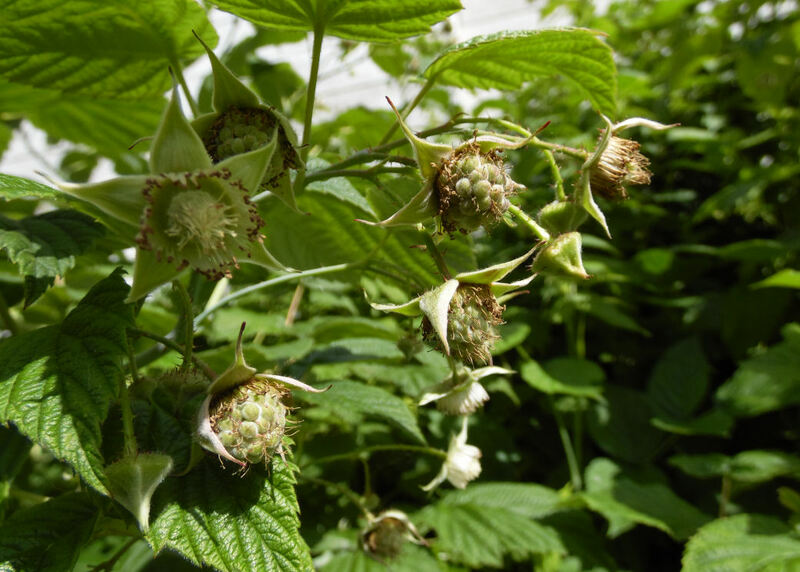 For me, canning and other preservation methods are about putting away a bit of summer to taste in the cold dark winter, luckily within walking distance I have wild chamomile and wild roses, in my own yard, I have clover, chickweed and dandelions for "weeds" and of course, my thicket of raspberries which look to give up even more than they did last year. So I'll be making a raspberry syrup to use on a dessert on Winter solstice. I think that's a grand tradition to start, putting up some of my favorite of summer to have on the longest night as things start to turn back around. Like Storey Publishing on Facebook for contests, recipes and information. The Kindle version is only 3.99 right now!